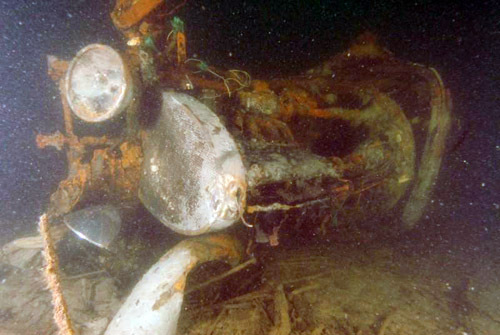 For about 72 years a Bugatti has been lying on the bottom of Lago Maggiore near Ascona, Switzerland. 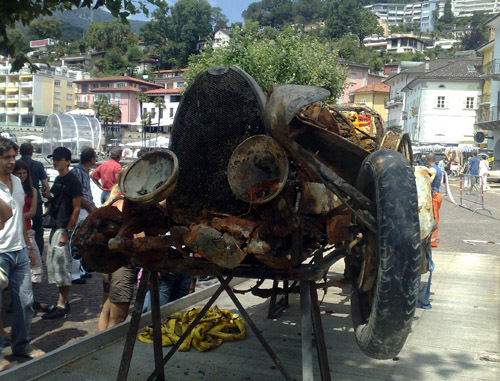 Last Sunday the Ascona Life Guard Society lifted the wreckage from a depth of 53 metres. It appeared to be a T22 Brescia. The Bugatti seemed to be in a relatively good shape and is currently on display before eventually being auctioned in favour of the Fondazione Damiano Tamagni. 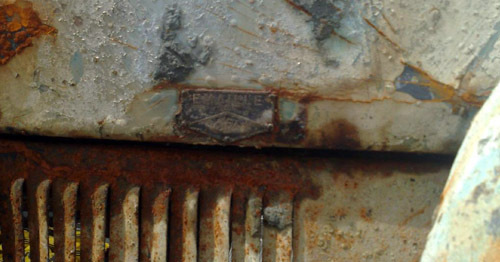 You can see by the absence of bodywork on one side she's been lying on her right side. 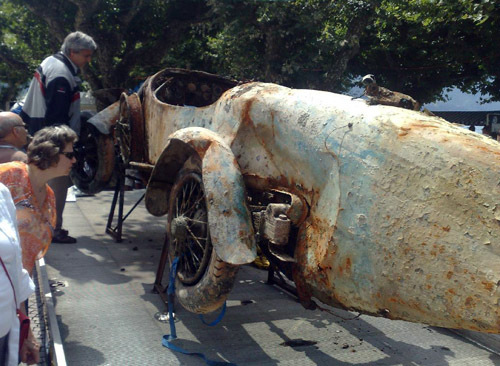 Bugatti expert Mr. Hans Matti has been able to find out that this Bugatti T22 dates from April 11, 1925 and was first delivered in Nancy, France. How the Brescia ended up on the bottom of the lake is not exactly known. According to Heinz Müller, spokesman of the Damiano Foundation, a Swiss dealer had ordered three cars from Bugatti, but only two buyers had payed the import taxes.The owner of the third model disappeared... The car had a high import tax wich the trader never paid. 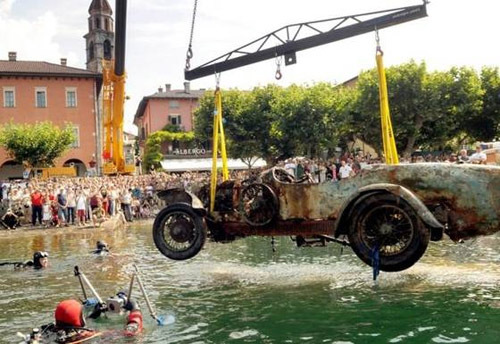 After many years of waiting, the goverment decided to take the Bugatti and throw it into﻿ the lake of Maggiore in 1937. The Bugatti Brescia on the bottom of Lago Maggiore. Video: The Brescia coming ashore.